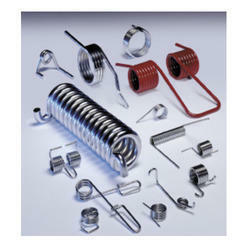 We are leading manufacturer, wholesaler and exporter of Torsion Springs. Our comprehensive range of Torsion Springs is manufactured using premium grade of raw material. Torsion springs are stressed in shear to affect energy transfer and this enables to effect the actuation of the energy stored. We offer torsion springs in various shapes and sizes as per client requirement. 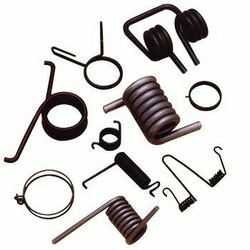 The torsion springs we offer find their applications in automobile, textile and many other industries. Our competency lies in offering our clients an excellent quality range of Door Torsion Springs. 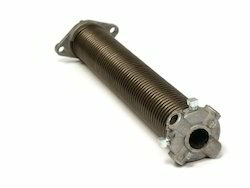 Our offered spring is perfectly manufactured with the use of supreme grade material and progressive techniques under the stern guidance of adept professionals. This spring is used in clothes pins, clipboards, garage doors and swing-down tailgates. Owing to its high tensile strength and excellent finish, this spring is highly acknowledged in the market. Double torsion springs offer efficient solutions to meet various demands of the industry and we, at our company, have the industry expertize to manufacture them in a very comprehensive range. Also we specialize in the supply of the same set of products. These springs are largely used in heavy industrial applications and where self-closing lids and doors are required. Our designing unit provides effective solutions to our clients at affordable price. 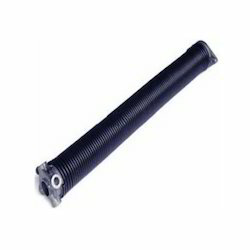 We have established ourselves as a renowned supplier of Precise Torsion Spring. Clients can avail these springs 0.5 mm to 3 mm thickness as per their exact requirements at market leading prices. Moreover, these springs are offered in various sizes and shapes in order to suit the multiple requirements of our customers. D (wire diameter): This parameter describes the diameter of wire used as material for spring. De (External Diameter): External diameter at large end of the spring. Tolerance for this parameter is (+-)2%(indicative). A.L (Arm length) : Arm length means extended length of arm. Looking for Torsion Springs ?